Last year, Samsung were the first manufacturer to mass produce 24 layer V-NAND for use in enterprise solutions. Never wanting to rest on their laurels, Samsung have today unleashed an enhanced 32 layer 3D V-NAND equipped drive for the enthusiast market. Samsung tell us that switching to a 32-layer cylindrical cell structure, more cells can be stacked vertically, resulting in a smaller footprint and higher density. In short this equates to a read speed of 550MB/s backed up with a write speed of 470-550MBs while returning 100,000 IOPS Random Read Speed depending on the size of the drive chosen. While the above figures may not appear to be too ground breaking when compared to the outgoing 840 Pro, it is the 128GB drive, the drive we have for review today) that the figures begin look more promising. The 128GB version of the 840 Pro, like most other NAND flash drives suffered from much lower write speeds compared to drives from the same family but with a higher volume. This time around though with the 850 Pro, while still a little lower than the 256GB and above drives, the write speeds are much healthier dropping just 50MB/s in comparison. This will certainly appeal to those not wanting a large drive either due to storage needs or cost but who still require good write speeds. Speeds only get better too thanks to Samsungs RAPID mode (Enabled through Magician software) and couple this with a huge 10 year warranty, Samsung have, on paper at least, a sure fire winner on their hands. SEOUL, South Korea – July 1, 2014 – Samsung Electronics Co., Ltd., the world leader in advanced memory technology, today launched the 850 PRO, a new solid state drive (SSD) line-up featuring Samsung’s cutting-edge three-dimensional (3D) vertical NAND (V-NAND) flash memory technology. 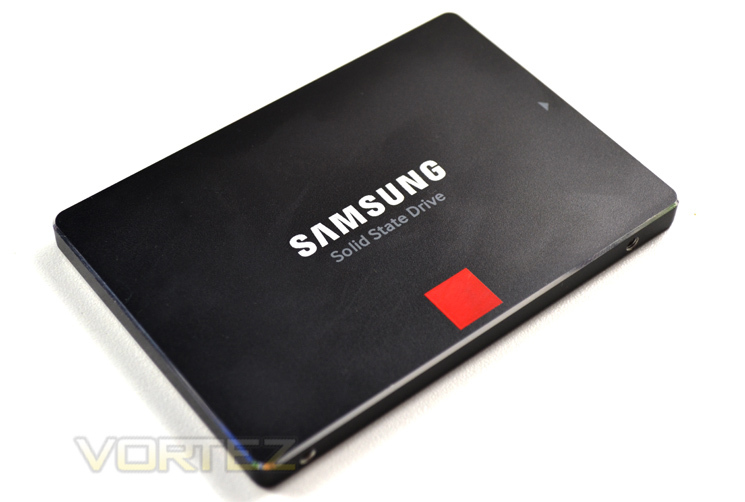 The new Samsung 850 PRO, unveiled at the 2014 Samsung SSD Global Summit in Seoul, offers a new breed of performance for solid state drives and will be available globally across 53 markets from this month.